Here at Hallowed Hops, our goal is to be a high quality hop farmer that works directly with craft brewers in the Midwest and surrounding areas. We look forward to working with you. Hallowed Hops is a leading producer of hops in Illinois and we are excited to work with local brewers to meet local demand. Our hop pellets are made in a nitrogen flushed process that retains all qualities of the best hop products in the market. 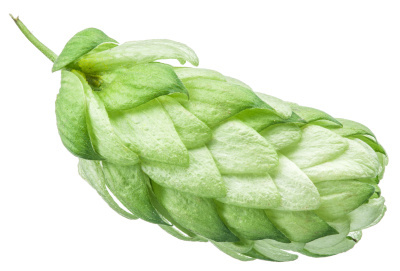 Hops is an integral ingredient in beer and it is a newer agricultural product in Illinois. We will work to help other farmers in the business to broaden the industry here and lead development of new varieties available only in our region. Hops Grown in Illinois will have similar features and different terrior from the same varieties grown elsewhere. Centennial, Chinook, , Cascade, Alpha Aroma, Hallowed Crystal and Nugget will be the commercial varieties harvested in 2018. We have a library of 15 other varieties to test viability for those in our soil. For inquiries and purchasing, please call us at 217-390-1505 or email us at hallowedhops@yahoo.com. Here at Hallowed Hops Co., we take pride in producing the best hops that are preferred by the beer connoisseurs palate. The elaborate processes and methods of producing the best hops is an art. It is a craftsmanship that requires a unique combination of natural skills, learned process, and passion. This is what we share as a family, to cultivate the love and passion in growing our hops. We are working hard to earn the respect of craft brewers and home brewers to trust our skills and knowledge in growing and producing hops to the highest standards. As a young company we are pumped to be pioneers in hops growing in Illinois. The finest hop products contribute amazing flavors and aroma to beer and we think there is a huge opportunity for Illinois bred hop varieties. We've experienced tremendous success in brewing trials with Hallowed Crystal, Cascade, Centennial, Chinook, and Cluster. With four years in the business our plants have mature oil levels and will exceed your aroma expectations. We look forward to working with you!